Ludovic Lazareth has made a name for himself in France with extreme car and motorcycle customs. How about a Mini pickup powered by a 3.5-liter Range Rover engine? A trike with a Ferrari V8 under the hood? Or a custom Yamaha FZR1000 with Tron-style bodywork and a supercharger bolted on? 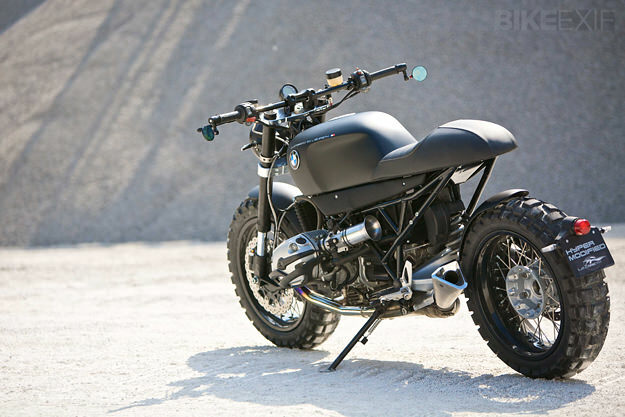 Monsieur Lazareth has a wild imagination—and the engineering skills to match. 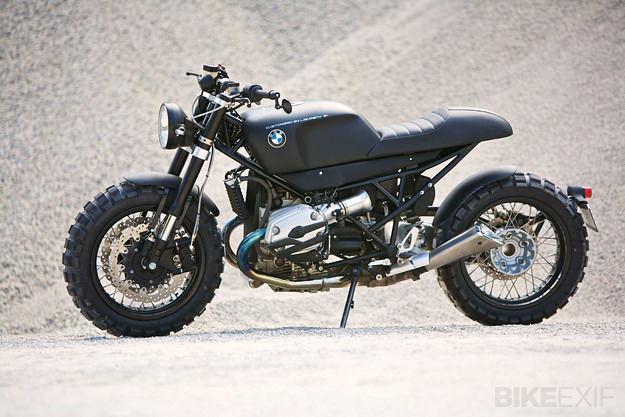 This BMW R1200R custom is the latest vehicle to roll out of the Annecy-le-Vieux workshop. 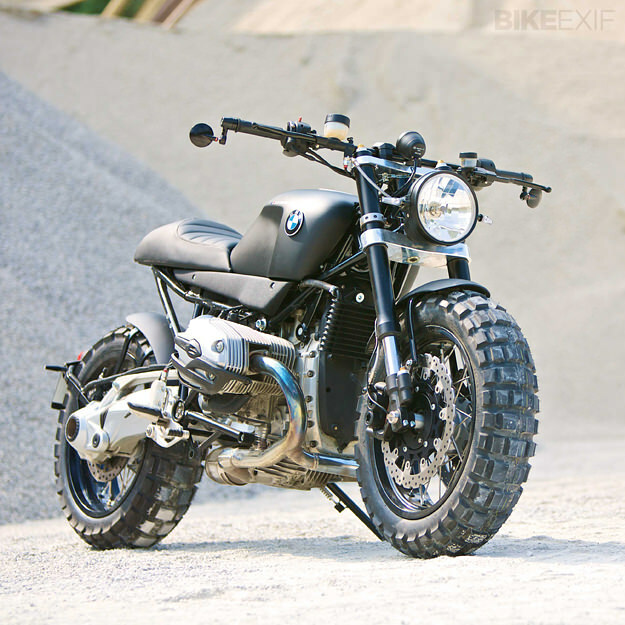 And although it may look pretty wild to us, by Lazareth’s standards, it’s a very low-key build. 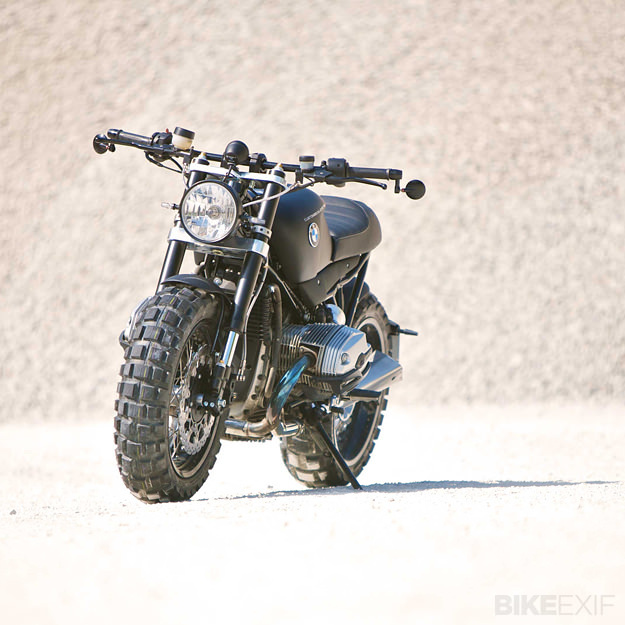 It was commissioned by a French client who wanted a ‘neo-retro scrambler.’ And the result is more than some high pipes and a new set of knobblies: According to Jean-Thomas Mayer, one of Lazareth’s young designers, “We kept only the engine and the Paralever suspension at the rear.” The tubular chassis is new, and the stock Telelever front suspension has been replaced by Yamaha YZF-R6 sportbike forks—widened to accommodate the chunky Continental Twinduro TKC80 tires. Lazareth’s aim was to mix the classic BMW cafe racer style—personified by the BMW Concept 90—with a touch of modernity and aggression. “Not horizontal like a café racer, but more dynamic,” says Mayer. 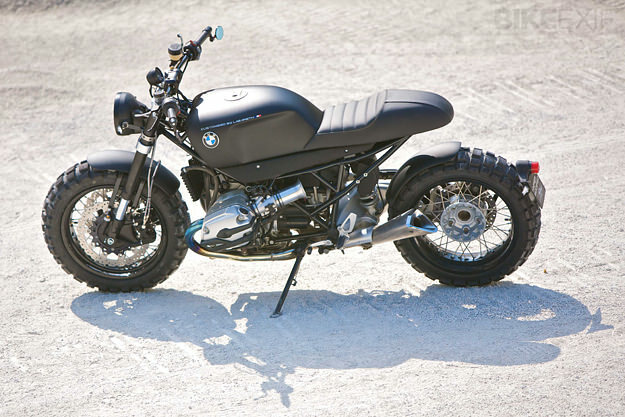 So the visual dynamic of this R1200R has been shifted forward, helped by a truncated seat/tail unit. The 110hp boxer powerplant is now hooked up to an Ixil exhaust, with two mufflers sculpted from aluminum. And the cockpit has been reduced to the bare minimum, with just a simple digital speedometer and bar-end mirrors. Head over to the Lazareth website for more images of this build. And while you’re there, check out his crazy half-car, half-motorcycle Wazuma.